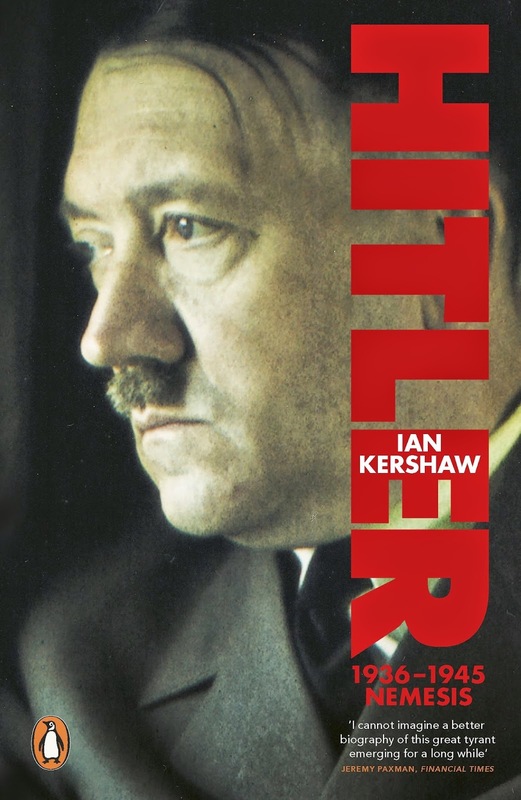 Hitler by Iain Kershaw, the Penguin Press, London, 2000. This magnum opus is published in two volumes with a total text of about 1,500 pages. The first volume entitled ‘Hubris’ deals with Hitler’s origins and life up to 1936, three years after he had become Chancellor of Germany and had brought the Weimar Republic to an end. The second entitled ‘Nemesis’ deals with the rest of his career from 1936 to 1945. I borrowed the book from Dermot Hourihane in January 2004 and read it over a period of about six weeks. While it gave an excellent insight into Hitler and the history of Germany from the first war up to the Nemesis of 1945, I thought the book unduly long and heavy going, although reasonably well written. I think Kershaw could have conveyed the message as comprehensively in 1,200 words or thereabouts. 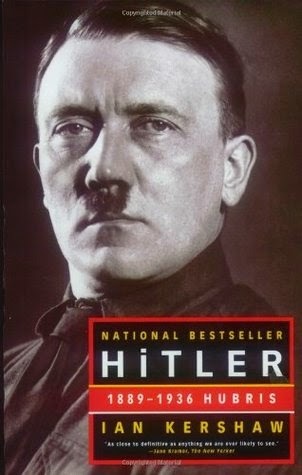 Some of the chapters where he muses at length about different aspects of Hitler’s policies, his private life and domestic circumstances, and about specific political and social circumstances are too long and repetitive. Despite these shortcomings I found the story of Hitler and Germany to be absorbing, appalling and traumatic in the sense that such a society as the Germans, probably the most intellectual, cultured and scientifically progressive society in the western world in the early years of the twentieth century, could have degenerated into such barbarity as they did under Hitler’s leadership and that of some of his most immediate and sadistic lieutenants. 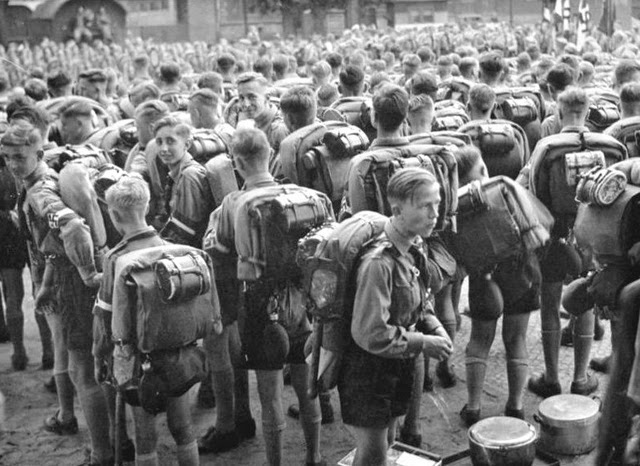 Reading about Hitler’s youth it would be difficult to foresee that he had the leadership and charismatic attributes which were to make him an absolute dictator as he became to an adulating German population. However, his early immaturity and naiveté was associated with an unusual degree of self-confidence and with strong prejudices, factors which played a crucial part in his political career. 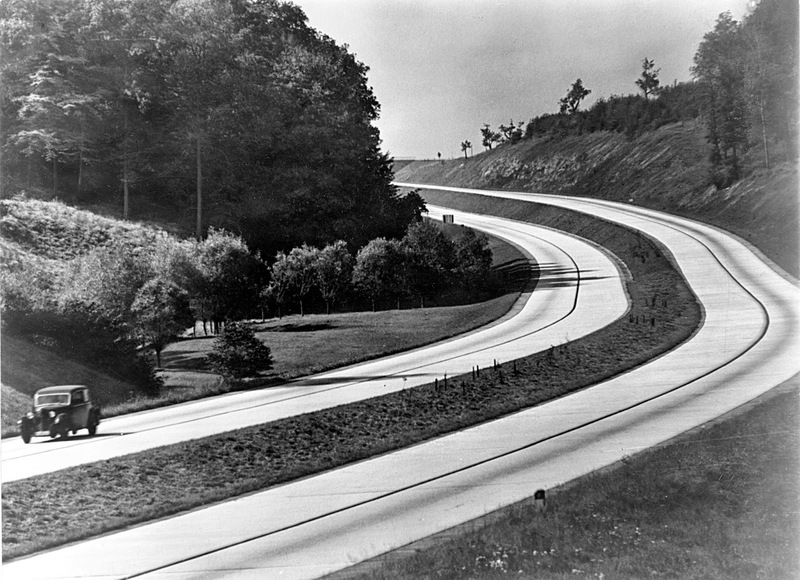 Hitler was born close to the border separating Austria and Germany. From the beginning he was obsessed by certain political views and racial prejudices which drove him subsequently to destroy the weak and chaotic Weimer Republic. He was acutely conscious of the humiliation of the German nation after the first war and the abject response of the post-war German leaders to the draconian conditions imposed on their country by the Versailles Treaty. He was impelled to seek revenge for the humiliation which his country suffered at the hands of the Allies and particularly the French. He was also obsessed about the growth and dangers of Bolshevism. A further obsession concerned the evil influence of the Jews, their responsibility for the First World War, their infiltration into the life of the German people and their close connection with Bolshevism. He was dedicated to preserving the purity of the German race, personified by the great achievements of Frederick the Great and Bismarck, and to find space for Germans in the East where they might replace such inferior peoples as the Poles, Russians and the Slavs of Southern Europe. The Weimar Republic had a chequered career during the 15 years following the Great War. The post-war Germans were poorly adapted to democracy and the country was bedevilled by numerous political parties and movements extending from royalist and the most right wing groups to the left wing Communists and Trotskyites. Many of these parties were involved in a degree of lawlessness and political violence which was incompatible with a stable democratic state. 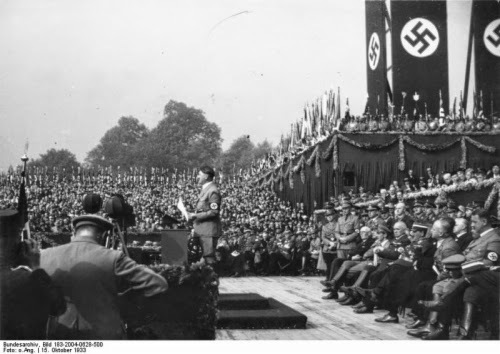 Hitler’s success owed most to his supreme confidence and his remarkable skills as an organiser and demagogic speaker. Also, even during the worst periods of Nazi barbarism, he was able to distance himself, at least to some extent in the eyes of the German public, from the murderous actions of his lieutenants. It was they who were mainly held responsible by the decent elements which still existed in Germany for the ruthless behaviour and atrocities while Hitler, having laid the seeds of German barbarity, was the last to suffer the ignominy of the public and then only towards the end of his days. Hitler and the Nazis supported the racial purity policy of euthanasia aimed at eliminating the dependent old, disabled and mentally afflicted people but, after up to 100,000 such people deemed to be in these categories had been disposed of and after increasing public outcry, he was pragmatic enough in 1939 to cancel the programme. And, despite his repeated intention to rid Germany of the Jews, he knew well how to assuage conservative national and international opinion at such times as the Olympic Games in 1936 by remaining relatively silent on the issue. The real elimination of the German and neighbouring Jews did not commence until the wartime when international opinion no longer concerned Hitler and his Party. 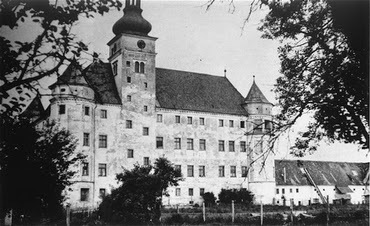 Hartheim Castle, euthanasia killing centre. Even during the war, when the Germans reached the abyss of inhumanity, he was aware of the Holocaust and the genocide in Germany and the occupied countries, but he never referred to these activities on the part of his Party’s adherents nor did he suffer the opprobrium levelled at the perpetrators, at least until after the War. And in his anxiety to placate the Western Europeans, both occupied and not, he was careful to discourage the worst German barbarities in the West, apart from rounding up those Jews who did not receive the protection of the local population. The Nazi atrocities were inspired by Hitler and always received his support, openly or tacitly. The Jews were responsible for the first and second wars; they were behind the Bolshevik movement; they were the source of all evil in the world and when they were arrested and imprisoned, it was done for their own protection. Whatever about the depths of depravity the Germans reached before and during the World War, a remarkable feature of the Hitler regime was the dramatic economic and infra-structural recovery and the return of self-confidence among the German people during the six peacetime pre-war years from 1933 to 1939. It is a reminder of the material and infrastructural progress which can be achieved under such an autocracy, free from the delays, irritations and frustrations of minority views and minority opinion. A similar situation existed in Italy, a country which was literally brought into the modern era under the dictatorship of Mussolini. Mussolini had by the 1930s earned the admiration of the world. Certainly this admiration existed among the Irish who were struggling to recover from the economic, political, social and cultural ravages of the Civil War, a recovery which was not made easier by our political system of democracy. The tragedy for Italy was Mussolini’s increasing bellicosity, his decision to invade Abyssinia and to join Hitler and the Axis, and thus to enter the war on the side of Germany. The history of the twentieth century European dictators is an absorbing one. The dictators of Germany and Italy came to an abrupt end through hubris and self-destruction while those of Portugal and Spain were followed by the bloodless evolution of democracy. Perhaps Franco and Salazar were fortunate that they had not the same opportunities of dominating their neighbours and of empire building, and were able to spend their energies in national advancement rather than in military aggrandisement. Where would Germany and Italy be to-day if their regimes had been benign ones without acquisitive foreign aspirations? Particularly chilling was the gradual dominance of the German army by Hitler and the Nazis, the downright cowardice of the army leaders in resisting Hitler and the SS, the erosion of the rule of law among the military and their almost abject acceptance of Hitler’s military decisions during the Russian campaign. Astonishingly, despite individual and covert expressions of disloyalty, they maintained their loyalty to Hitler even though many of them knew that the Russian campaign was doomed to failure. 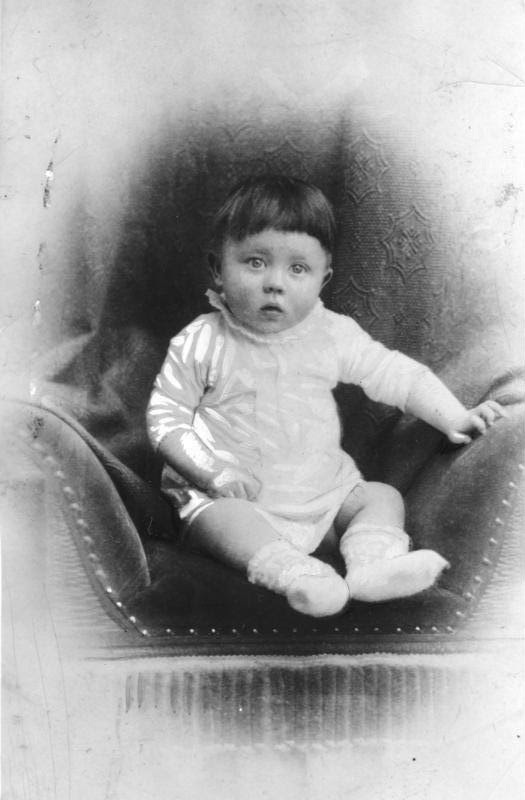 Hitler had some elements of humanity and tolerance, at least in his domestic life, but the expression of such attributes outside the domestic scene lay dormant as his fiercely dedicated and inhuman supporters, Himmler, Goebbels, Heidrich, Wagner, and numberless other Nazi leaders were determined to push his political philosophies to the extreme limit. The sheer barbarity of those who controlled Poland, Russia and the Baltic States is a reminder of the depths to which human depravity can descend when a population or society is deluded by fear and by psychopathic and bizarre leadership. And this barbarity was not confined to the Germans alone as was evident among many Ukrainians who were not slow to join in the worst aspects of the Holocaust after they were invaded and treated lightly by their victors during the Russia invasion. The twentieth century later was to prove that such barbarities did not end with Hitler and the Germans. It is a cogent reminder of the current American scene where a country with a remarkable history of tolerance, equality and freedom may be dominated by Bush and the American military/industrial complex and by the power and expansion of the American economic empire. And we already have the precedent of inhuman American behaviour in Vietnam and Central and South America to confirm that even the American people are not immune to causing further holocausts. Will Bush and his arrogant right wing lieutenants be classified by posterity with Hitler and the Nazis as purveyors of hubris and Nemesis? Will the Goddess of divine retribution condemn us all in the process? 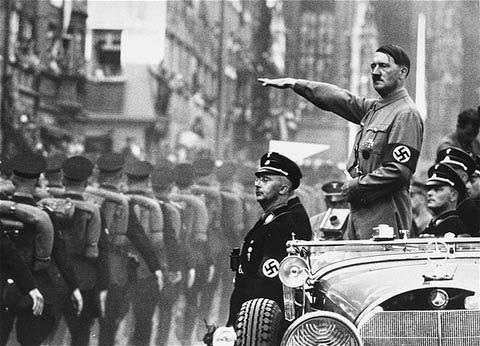 Hitler’s absolute power and the total loyalty he received from his party’s single-minded allegiance lead to a serious breakdown in the central structure of government, the adverse effects of which increased during the war and was to account for many of the failures in administration and in planning which were evident then. Every strand of authority depended on him, including eventually all decisions about military strategy on the eastern front. It was a recipe for disaster, particularly because of his megalomania. Hitler neither drank nor smoked, and was a strict vegetarian. He disliked smoking and discouraged it among his friends and domestic staff. He believed that smoking caused cancer without defining its site. He had his own medical advisers in whom he had a blind trust. Always concerned about his health and believing that he would die prematurely, he became increasingly a hypochondriac and towards the end of the Russian campaign he was stated to be on 28 tablets every day. 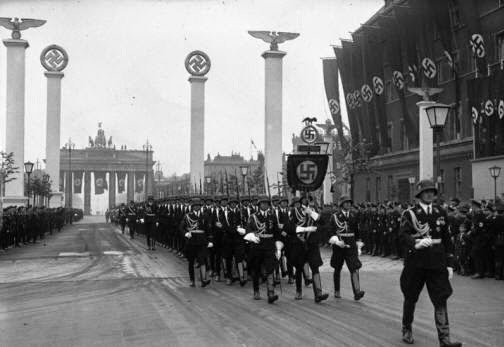 Versailles, the French and the failure of democracy in the Weimar Republic were some of the root causes of Hitler’s rise. The harsh treatment of Germany after the Great War provided the basis of the Nazi tragedy. This contrasted with the generous Allied policies after the World War, and particularly with American policies of aid to Germany and Europe. These were policies which lead to a different Germany and a different Europe, and ultimately to the miracle of a united Europe where the ugly head of extreme nationalism is consigned to history. It is an unfortunate fact that the policy of organised euthanasia during the 1930s was supported by many doctors and others who were not necessarily members of the Nazi party, nor were all those Germans who took part during the war in genocide and the holocaust committed members of the Party. And many who were guilty of the most heinous crimes against humanity escaped punishment by various means after the war. It is also apparent that most of those who were charged with crimes against humanity showed little remorse. 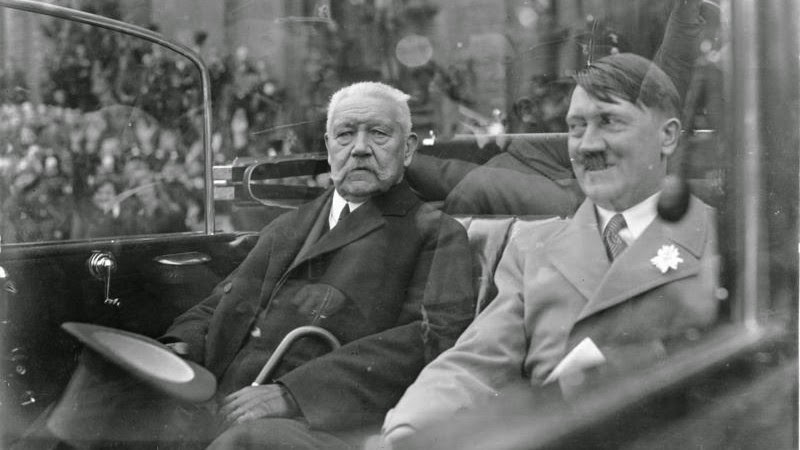 They perceived Hitler to have delivered Germany from national humiliation to greatness and pride, and they were deeply imbued with Hitler’s vision of the Germans as the master race. To many of the Nazi leaders, such as Bormann, National Socialism and Christianity were incompatible. In fact, the Nazis were opposed to any institution or movement they could not control. There is little doubt that, had the Germans won the war, the churches would not have survived in their dominions.